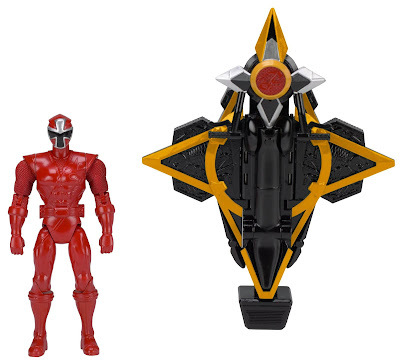 After getting our first look at the first wave of Power Rangers Ninja Steel 5 inch figures, PowerRangersNOW has revealed the images for the spring line of Morphers, weapons, vehicles and role play toys from the new series! 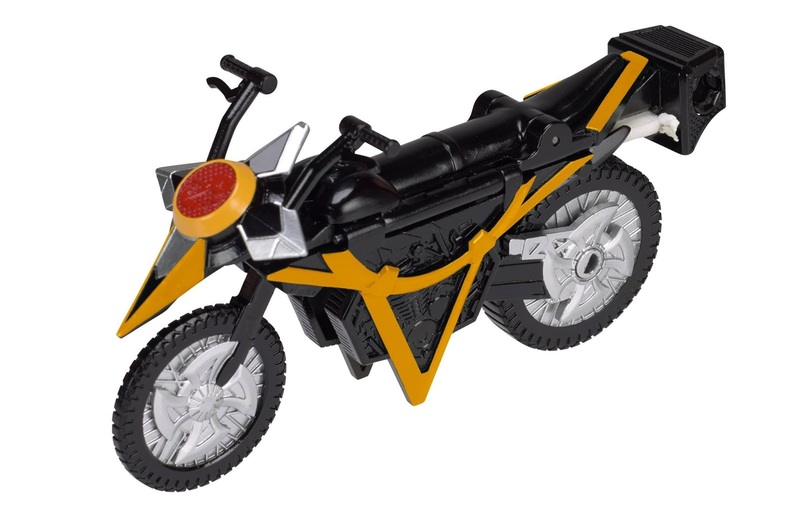 First up is the Mega Morph Cycles. This new vehicle can transform into 2 modes, motorcycle and Ninja Power Star mode and will include a pose-able 5" figure and can also be combined with the Deluxe Ninja Steel Megazord. 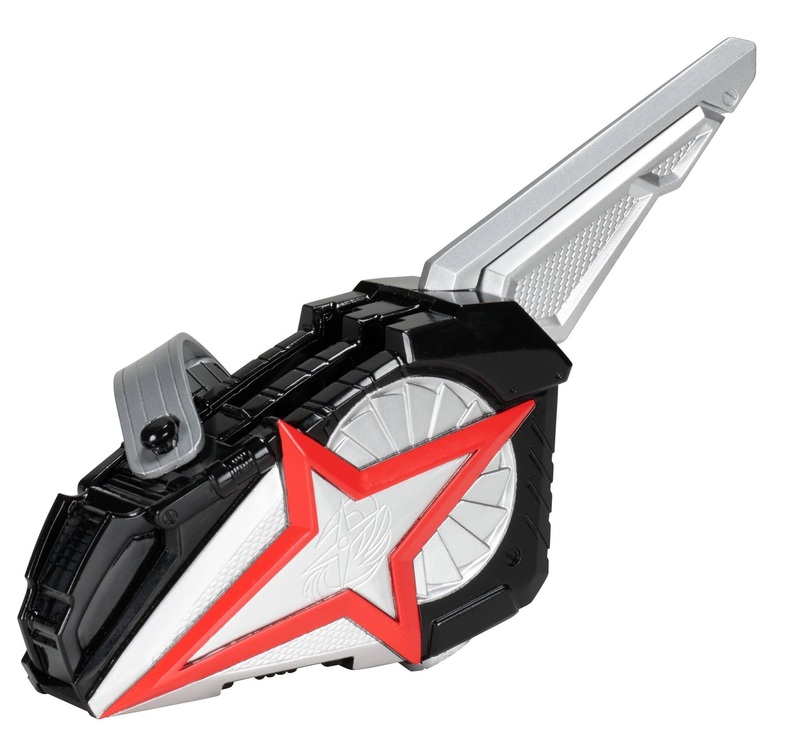 Now for the Ranger sidearms, this little number is called the Ninja Blaster. 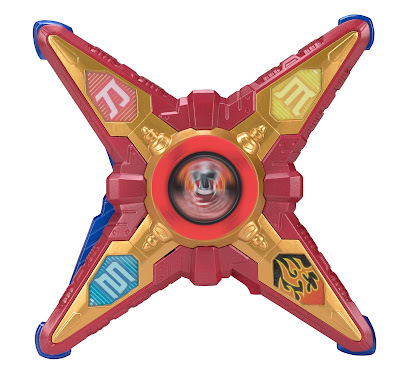 Can load and shoot up to 3 Power Stars (included in the toy). 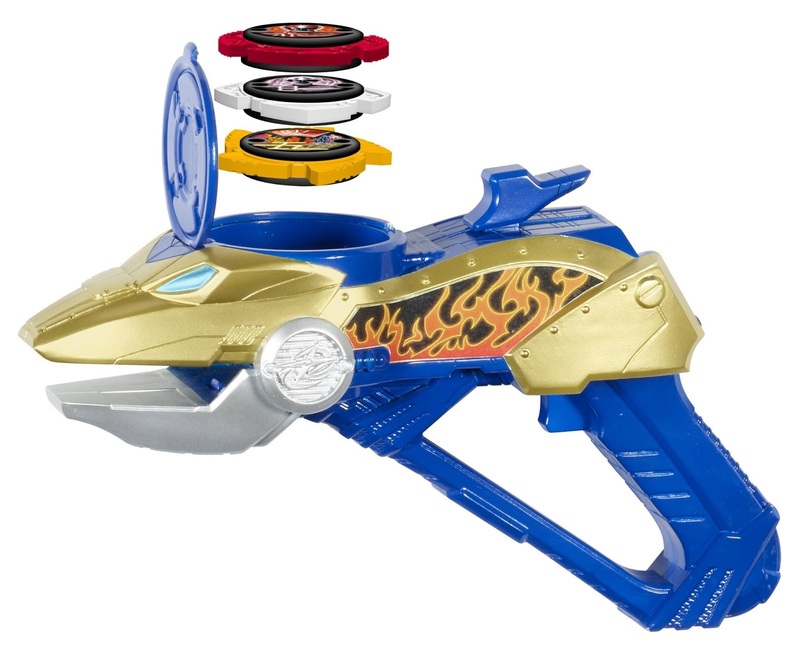 And here we have the Deluxe Ninja Battle Morpher which will serve as the team's morpher. 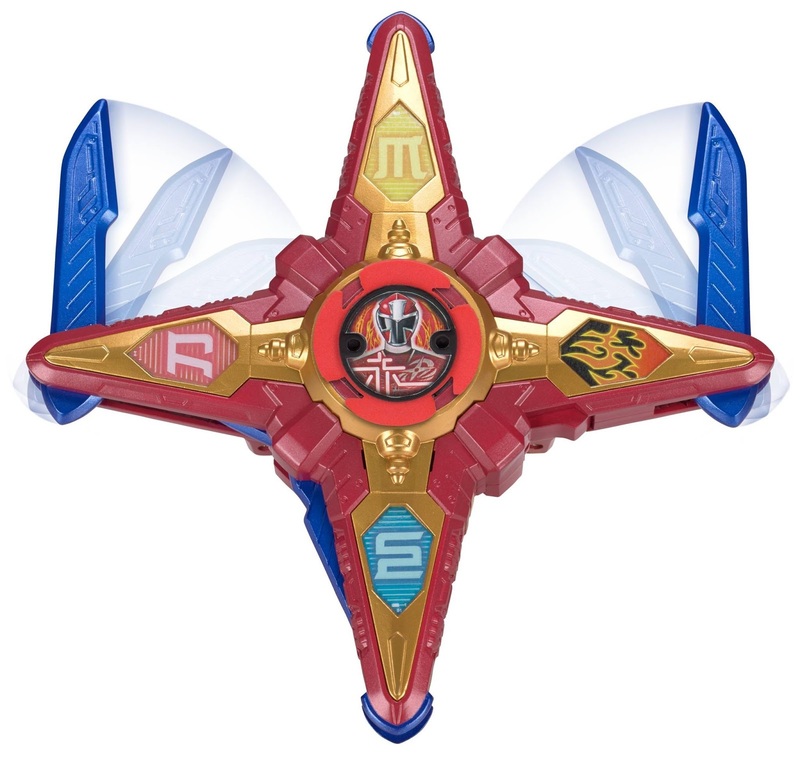 it has 3 modes to play with: morpher, sword and claw mode. 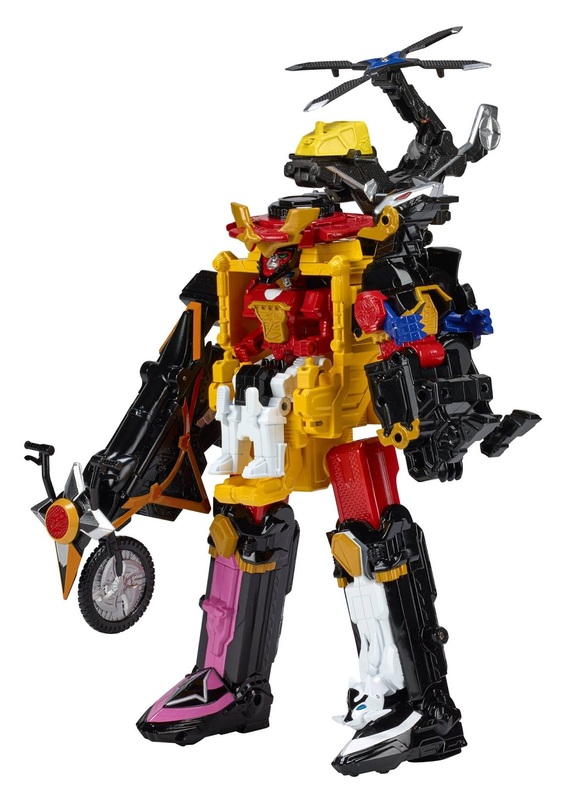 Includes 2 Power Stars with a reported 100 more to come soon. This new role play weapon is called the Sword Star Launcher which can also launch Power Stars (2 included) and has an adjustable strap. Lastly, here are the Ranger Hero Sets that is excellent for children who wants to become one of their favorite Power Ranger. Comes with 1 Power Star. 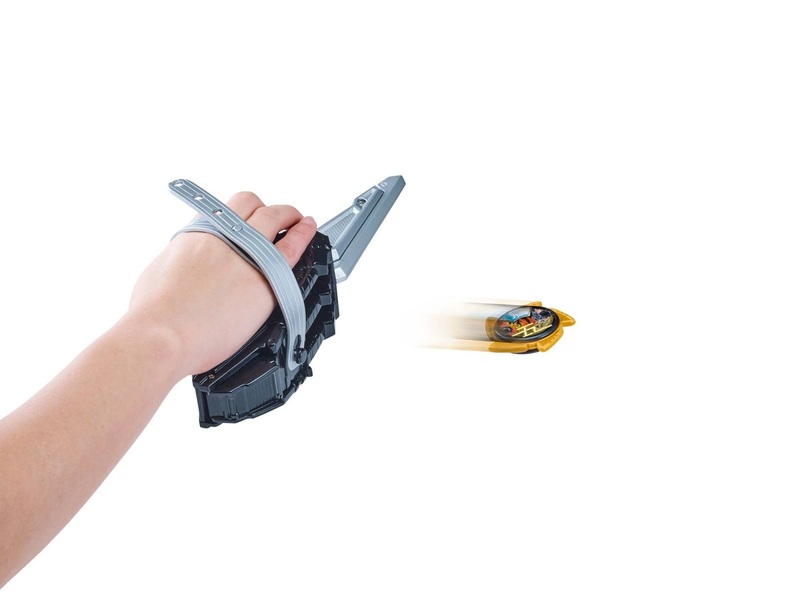 I don't get it... Why use the Karakuri Hengen as the morpher, when the Gaburevolver passed just fine? Surely this isn't an issue of PC or safety, since most associate a gun with more danger than a sword. 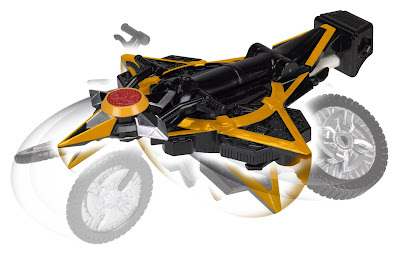 They even got rid of the bow feature on the Hengen, which was in a lot of the Ninninger footage, and probably will be in the Ninja Steel show too. Bear in mind that this isn't a complaint. This is just me voicing confusion. 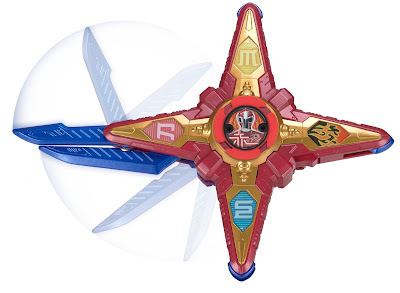 Karakuri Hengen being used as the morpher had nothing to do with standards and practices. A Bandai rep in a recent interview stated that it was for marketing purposes. The sword would sell well on it's own anyway because it's a cool sword and those always do well for them. 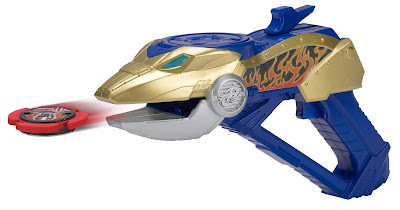 But making the sword into a morpher would cannibalize the sales they usually make on a morpher. 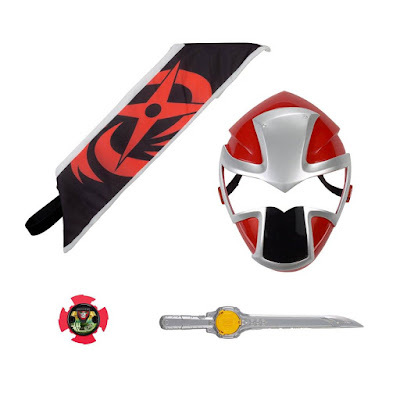 They'll make more money by selling the sword and the morpher as two separate items.